Slot machines have always been the most popular focus of every person that visits Las Vegas, or any other casino around the United States. However, according to the Nevada Gaming Association, gaming revenue is now overshadowed by non-gaming revenue. In this case, non-gaming revenue takes into consideration factors like food, shows, and other attractions; in 2012 non-gaming revenues accounted for more than 60% of the casino’s net revenue. The main reason for this is that many people are going to vacation at key locations like Las Vegas for the entertainment value they provide, and seeing the gaming as more of a side-show; in the past, this was the reverse. In these same terms, we can split up the gaming revenue, which includes slot machines, table games, and card games. Everyone knows that the slots are the big revenue winner for casinos, but in 2014 the total revenue was of $6.7 billion, while in 2006 it was $8.4 billion, and is still steadily declining. This can be thanks to the low odds of winning when playing on the machines, and the patrons going to play at the tables instead. 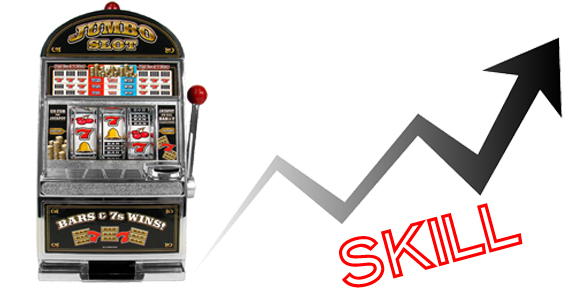 So, the proposal is to add into existing slot machines a skill-based element, which could make them into more like arcade games rather than simply spinning the reels. This could certainly increase its popularity again, especially when you could get a nice payout for reliving childhood memories when at the arcade. The bill is still being revised, but could be one answer to help solve the decreasing interest in gaming. For the specific bill, data, and other information, you can check out the article here.